Hawaii! 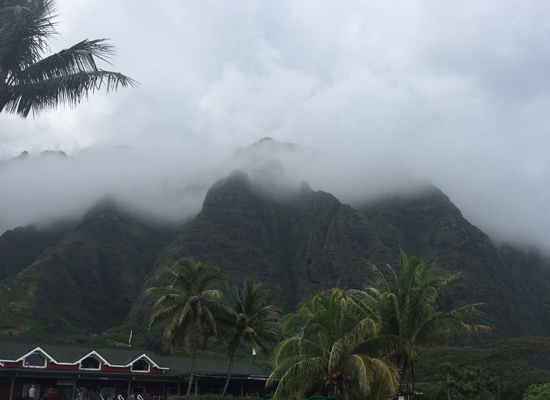 This trip was my very first time to Oahu. And when it’s my first time traveling to a new place I like to do all that touristy stuff. I mean, there is a reason why everyone goes there right? 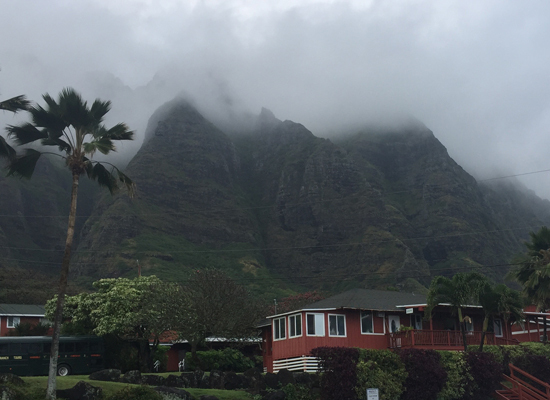 Our first stop was Kualoa Ranch, a beautiful nature reserve about 24 miles from Honolulu​. 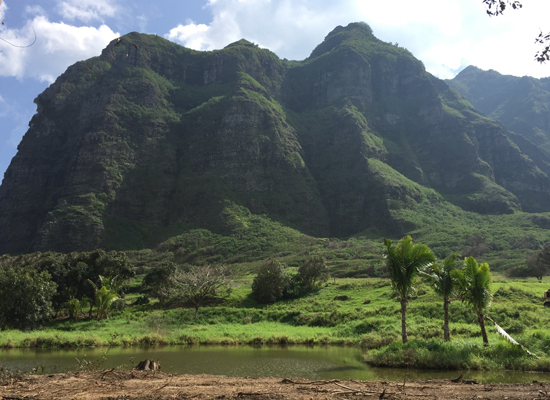 It’s natural beauty has made it the perfect backdrop for countless movies and TV shows such as Jumanji, 50 first Dates, Jurassic Park, the Karate Kid, Lost, and Hawaii 5-0 which is still being filmed in Oahu. It seemed like a must see for tourists in Oahu. The ranch offers a host of activities meant to take advantage of the expanse and beauty of the reserve. There was so much to do that we divided our activities throughout our entire trip. They offer several tours such as a Movie Ranch tour, Jungle tour, and Catamaran tour. You can also ride ATVs or go on horseback. The first activity we did was the Movie Ranch Tour. You hop on an old school bus and the tour guides points out where various movies were filmed. There are a couple stops where you’re able to get off the bus to explore. I remember seeing the bunker where episodes of “Lost” were filmed, and also feeling like I was actually in Jurassic Park. 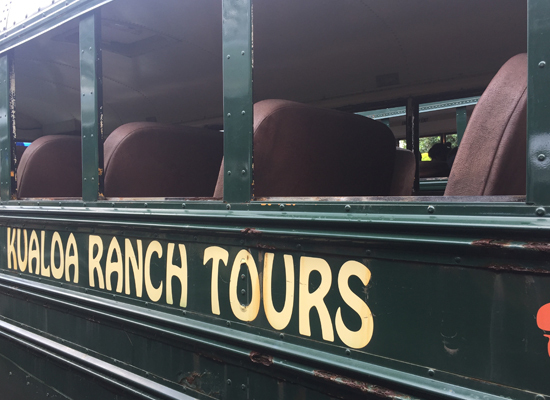 On the second day, we were supposed to do the Jungle Ranch Tour. Unfortunately, we were late, and were unable to hop on that tour. I suggest making reservations in advance. A week before our trip it was easy enough to call to book for the times and tours we wanted. However, if you don’t check in 15 minutes prior to your reservation, they will give it away. Instead, we went ATV riding. The raptor ATVs allows you to ride with several people in the ATVs as opposed to individually. 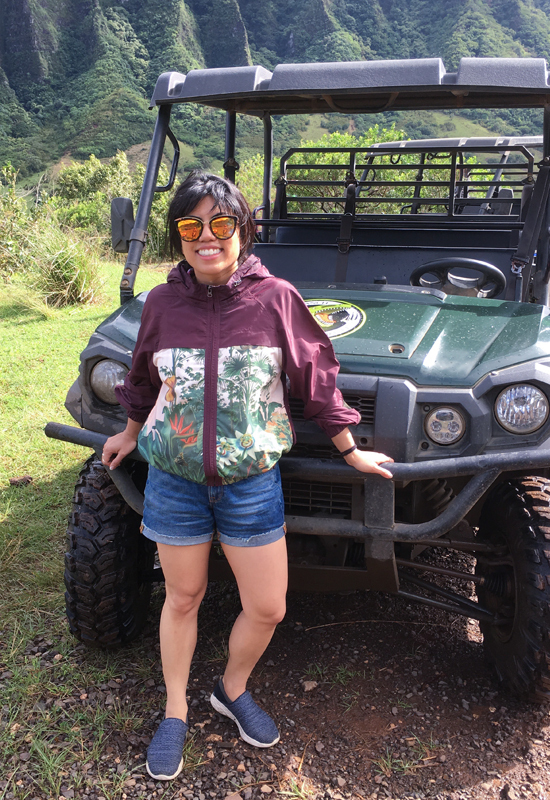 It was the best way to explore Kualoa Ranch, as the open structure of the ATV, paired with the ability to drive through the ranch with the tour guide gave you a more intimate look of Kualoa. It poured that day, but that didn’t stop the tour from happening and actually made it more fun! They provide ponchos to keep your clothes dry, but riding around in ATVs in warm rain, and going through puddles through the beautiful terrain was an unforgettable experience. Kualoa Ranch in recent years has also taken to developing parts of Kualoa ranch to not only be self-sustaining but to sustain Hawaii as well. It is an active ranch, with handlers cultivating different crops, like Cacao, and taking care of the fish and cows to ensure Hawaii continues to thrive well into the future. I was in awe of this experience. I didn’t think a place this beautiful existed. It never got old for me. I went there 3 times and I couldn’t get enough of it. 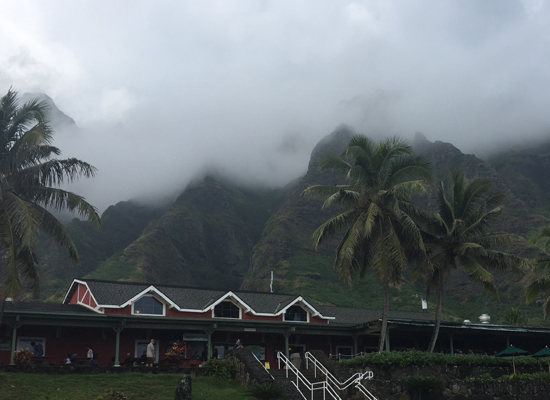 Kualoa Ranch is a must visit in Oahu.